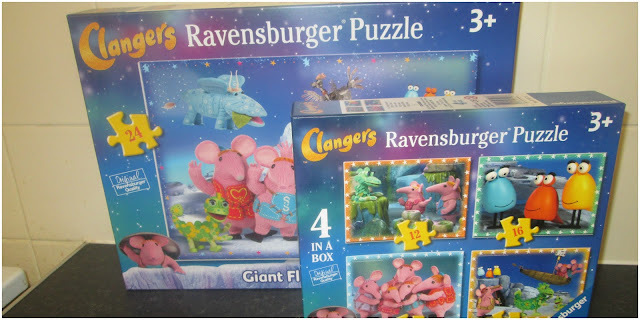 The Clangers is one of our new favourite programs Adam really loves them so when we were asked if we would like to review two of there jigsaw sets from Ravensburger naturally we jumped at the chance. We were sent two separate jigsaw puzzles a giant 24 piece floor jigsaw and a four different jigsaws in a box set with each jigsaw having various pieces that get harder as you move along. We tried out the giant floor jigsaw first the puzzle comes with 24 pieces all of which is brightly coloured with plenty of detail very attractive to little people. 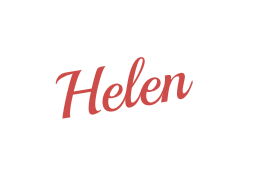 The pieces fit nicely together and are easy for little fingers using there premium soft click technology and each piece is made from cardboard which is very sturdy. 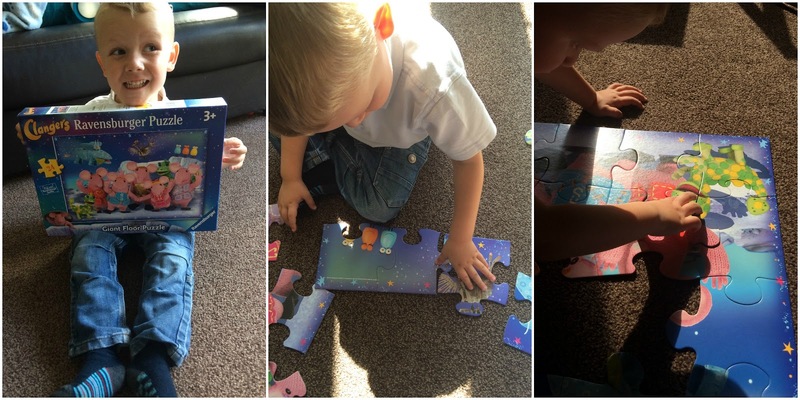 The floor jigsaw puzzle is aimed at children 3+, Adam really loved this he found the pieces chunky in his fingers and they were easy to turn and match together he whizzed through it I was surprised at how good he was at it. He loved his piece of art we had to keep it up so he could show Liam when he came home from school. 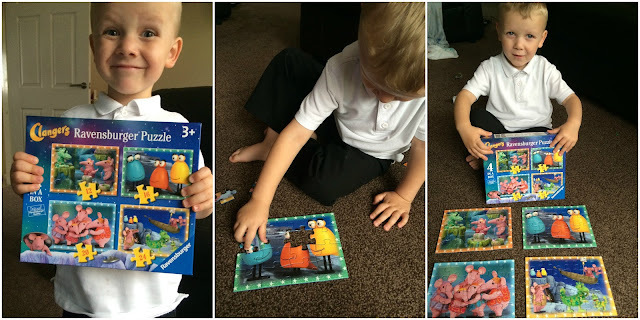 Next up we tried the four in one jigsaw puzzle, each puzzle is slightly more difficult than the last again the pictures are all brightly coloured and the pieces fit together easily. Adam found these jigsaws more difficult than the floor puzzle but after he had sorted out the pieces he was quite good at doing these I love that each individual puzzle has a different border so one has orange stars another green and so on. I found this really helped with getting the right pieces as with them all being in the box together they get mixed up having the borders really help distinguish between the puzzles. Adam has really had a lot of play out of these jigsaws and he seems to love playing with them as much as the last time, I love that the four in one gradually gets harder it helps with there development and increases there level of concentration over all we loved them a big thumbs up to the Clangers and Ravensburger. We were sent these lovely jigsaw puzzles for the purpose of this review all opinions remain honest and my own.